Installing a new furnace is not your typical DIY job. Proper installation is challenging, and if it is done incorrectly, it could even lead to risks like carbon monoxide leaks. Don’t risk it when you get a new furnace. Let heating experts in Murfreesboro handle the installation for you, so all you have to do it sit back and enjoy your comfortable home. Here is a look at some of the benefits of professional heating installation. When you attempt to install your new furnace yourself, all it takes is one misstep to make your heating function less efficiently than it should. Even a minor reduction in efficiency can add up to a major expense for you in the long run, as your energy bills begin to rise. When you leave the installation to a professional team, you can be sure that it will be set up to give you the maximum amount of efficiency possible. If your furnace is not installed properly, it means that it will start out its life not working properly. Over time, the system will be under an excessive amount of pressure, which means it will wear out soon than it would have had it been set up the right way from the beginning. Because new furnaces are such huge investments, don’t take the risk of needing a new one before you would have if you had allowed a qualified heating expert to handle the installation. In addition to the extra expense that comes with a poorly installed heating system, a furnace that isn’t working up to its full potential won’t keep your home as comfortable as it should. After investing in a new furnace, you want to enjoy the warmth it provides instead of feeling just as chilly as before. A professional team can ensure that your heating installation is done exactly right so that your home is ready for cold winter nights. 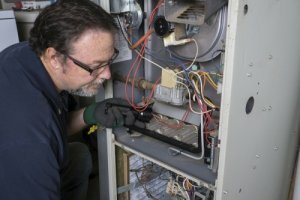 Is It Time to Replace My Furnace? The last thing you want to discover in the middle of winter is that you need a new furnace. 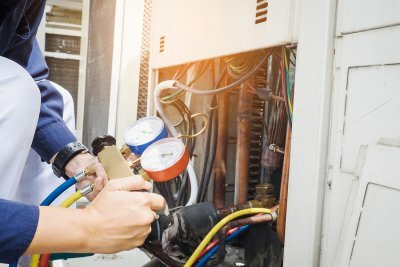 By paying attention to the warning signs of problems with your furnace, you may be able to realize that it’s time for a replacement before you need emergency service. Make sure your heating system in Murfreesboro is ready for winter by keeping an eye out for these signs of a furnace failure. Your pilot light is yellow. A yellow pilot light is not just a sign that your furnace is failing—it could also be a sign of an emergency for your family. A pilot light on a furnace that is operating as it should will be blue. A yellow light could indicate that you have a carbon monoxide leak. If you see a yellow light, get out of the house and call your heating experts right away. Additional signs of a carbon monoxide leak include a rotten egg smell and condensation or rust around your furnace. Your heating bills are soaring. A sudden increase in heating bills is a sign that your furnace is not working as efficiently as it used to. This could be the result of a minor issue that can easily be repaired, or it could be the sign of a major furnace failure that requires replacement. Take action quickly if your heating bill suddenly seems to be more than it should be, so you can avoid overpaying for energy costs associated with an inefficient system. The air coming out of the heating system is cold. If the air feels cold when your heat comes on, your furnace is to blame. The same applies if your air doesn’t feel as warm as it used to, or if no air comes out at all when you turn on your heating. Cold air is always a sign of a serious furnace problem, so make an appointment for an inspection as soon as possible. If your utility bills are taking a bite out of your bank account, there may be some easy strategies you can employ at home to cut the costs. From performing regular maintenance on your heating system in Murfreesboro to changing the way you use your appliances, there are a number of simple tricks that could save you money. Watch this video for some advice on lowering your utility bills. When possible, choose manual tools, such as can openers, instead of electric alternatives. Make sure the areas around your pipes are sealed tightly. Get your heating system inspected by a professional before winter comes, so that it is operating at maximum efficiency, and adjust your thermostat settings so that your heating doesn’t run more than you need it to.